As per Muggle in Pink’s request, here is my recipe for pot stickers/dumplings. You could use round gyoza wrappers to make a pot sticker shape, or you could use the square ones and make a dumpling where it looks like a Scrooge McDuck money sack. 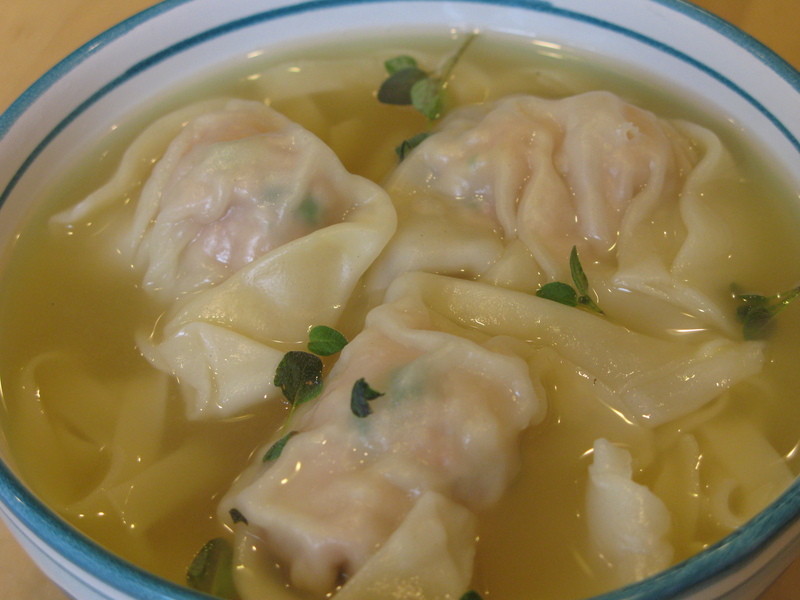 To make a wonton soup, use the square wrappers and use egg to seal pouches shut. Instead of frying, you can boil this in a pot with the teriyaki sauce and serve with thin rice noodles and the broth.